I love, love, love this style. 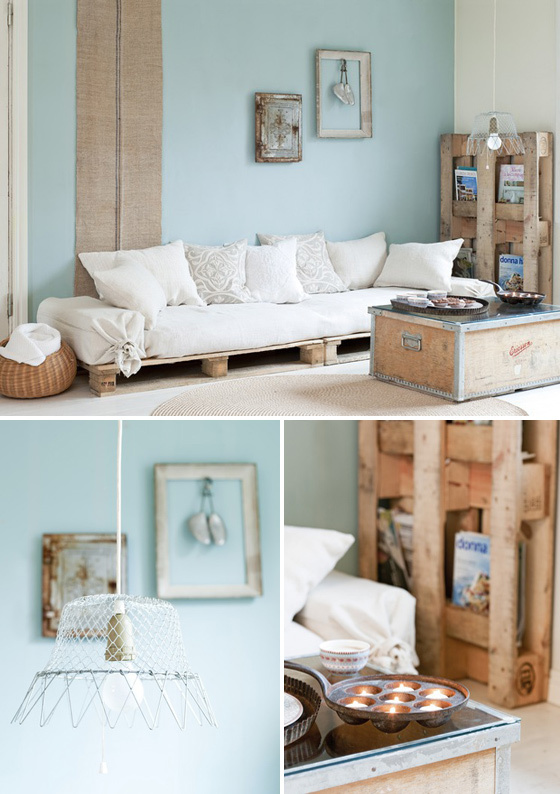 Wood pallets are just great, there are so many lovely things to create with. And the lamp shade made of an old French egg holder is simply gorgeous. I so agree with you! I have a shed full of pallet wood, just waiting to be turned into something. I have made lots of little signs with words on and boxes for planting flowers.